It seem like just yesterday that we were speculating about the fate of OSHA nominee Scott Mugno whose third committee approval vote was postponed yesterday. Well, for all of you Mugno fans out there, I have some bad news. 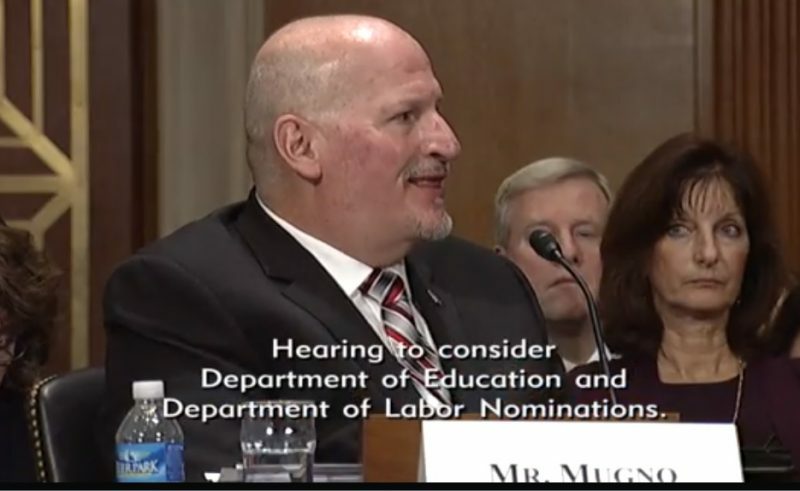 You may remember last year, Murray held up the Department of Labor nominations because Republicans had blocked Chai Feldblum’s re-appointment to the Equal Employment Opportunities Commission as well as the re-appointment of Mark Gaston Pearce to the National Labor Relations Board. Both Feldblum and Pearce withdrew their nominations. Pearce told Politico that he wanted to remove himself from the “political tug of war” and Feldblum expressed similar feelings.